 I did not pay for a reading, but I was at a Psychic Fair, and as I was leaving I was introduced to one of the psychics. He must have been compelled to say something, as he started to tell me things that no one except close family new. I was in total amazement, as I had never spoken to him before this moment, and I knew no one at the Fair, until that day. I have since spoken to both him (Matthew Stapley) and his partner (Tristan Brine), and both are extremely gifted, accurate, and very helpful.  Over the years I have been to MANY psychics and card readers, I have paid a lot of money to so called phychics and mediums who turned out to be nothing but a waste of my money and fraudsters. I was very skeptical when someone said I should try a reading with Matthew Stapley, so I did, he was so nice, kind, compassionate to my situation in life and was so extremely accurate, he knew and said things that no one could've possibly known. He predicted my beautiful baby girl when I told I couldn't have kids, low and behold I was pregnant 5 mths later, he relayed information about past relatives that only certain family would know, he predicted quite a few things that actually came to fruition in my life. Matthew is the real deal, I've seen him in action at events and if he feels he can't read you he will be honest and tell you and NOT take your money like many others out there. He has helped me heal from extreme grief passing on messages from my father who committed suicide years ago, he told me things that only my dad would know. If you want a real genuine gifted psychic medium, I highly suggest you book an appointment with Matthew, you won't regret it. I am so glad I did not read the negative reviews on here before going! I went to see Matthew and I am completely blown away. I've been struggling significantly lately with grief, more than I even care to admit to myself. I thought maybe this would be a small step towards healing. From the moment Matthew started to the moment he finished, I felt so incredibly overwhelmed. He knew how my grandparents passed away, he knew details surrounding the death of both my parents and when they died. He had messages from them that NOBODY would know about! He knew about events in my childhood that even I had forgotten about until today.... He even knew that I wanted to fix my fridge that has been driving me bonkers for a year now!!! His description of my energy was bang on, and his insight into my character traits could not have been more accurate. He even had a message from my husbands grandfather- I didn't understand the accuracy of this message until I got home to speak to him. He also knew details about my children and the people they will grow in to. Matthew has NO idea how much comfort and peace he provided me with today. He was worth every penny. There is NO way this guy is fake! So, if you feel like you could use some comfort and reassurance, like I did, know that this guy is amazing!!! How long ago did you see Matthew as well as Matthew and Tristan? Well Anonymous, I have seen dual readings before and can be very effective. I know Matt and Tristan and can say that they are genuine and caring for their clients. Perhaps in your case they couldn't read you fully. If you have studied Tarot you would know that Psychics cannot read everyone, and it they are not for you, then find someone else. They do wonderful work and because they couldn't read for you, or that the idea of two people reading you at the same time doesn't jive with you, doesn't make the fakes. I recently sat down with Matthew Stapley at a psychic fair in Carleton Place, he asked my name and shook my hand, and reflected for a moment. After that, he told me that he was sorry but he couldn't seem to "read me." He said I gave off amazingly positive vibes, but that he just could not tap into me. It was my first reading, so I was very disappointed but, I couldn't believe that some psychic had the opportunity to take my $40 and didn't. My friend had a reading done, and she was overwhelmed by his accuracy. I would say this guy is the real deal, and is very honest about his psychic abilities and his limitations. First of all Matthew Stapley is truly gifted and amazing! He was able to tell me things about my father's death that absolutely no one other than my immediate family knew. He has hit things on the head in every reading he has done for me. I have things coming true even now, that he predicted back in December. He has been so on the head with everything for me, that my mother, who has never done this type of thing, is now booking an appointment to see him. Tristan Brine is also amazingly gifted, especially in healing. He was able to pick up on things about a not-so-well family member that we have not let on to anyone. He has helped me time and again with decisions, and has never lead me in the wrong direction. I will always go to Matthew and Tristan for any and all advice when I feel I need it! These guys ARE the REAL DEAL!!!! I don?t agree. I live very far away and I've been read by them and honestly, they are awesome! They made a few readings for me and all they described, happened. Also, I was able to connect to my spirit guide. Lots of psychics and tarot readers described my spirit guide and I didn?t tell Matthew, and he was able to describe it exactly as some other psychics did. Not only that, but they tell me specific things about my life they couldn?t know as I didn?t tell them, so I was wowed. They helped me a lot to grew as a person, to have a new perspective and I don?t doubt anymore there are people out there, like them, with this amazing gift, because everything they said, actually happened. So thanks a lot for the readings!!! And I encourage others to do the same as I did: ask them both a reading! I attended a group reading at a friends house. We were all very excited to attend. We waiting a few months for Matthew. My friend called to confirm her appointment and it was confirmed by Matthew twice. HE DIDNT SHOW UP nor did he call to offer a reason. We were ALL very disappointed and find it very unprofessional. I would never count on another apointement by him. He cancelled two appts both at last minute. Last appt made me wait an hour and never showed up. He did not offer any kind of complimentary service or any real sincere apologies. Stapley and Brine are a complete fraud! I have never of heard of people being read by two "pseudo-psychic" at the same time. One talks and then, when he can't say anything anymore because he feels nothing, he looks at his partner for him to say something. The reading lasts 15 minutes. Then they talk to you for few more minutes about the fact that you can do it yourself and so on, and so on. I have studied Tarot from a very well known School of Thought, and I have never heard of pseudo-psychics like the Stapley-Brine "couple." It is people like these two that make the psychic world being regarded as charlatans.